Posted May 29th, 2013 by Barry Berndes & filed under Banquet Venues, Beer, Breweries, Breweries, Brewery Restaurant, Corporate Meeting Venue, Happy Hour, Microbreweries, Microbrewery, Party Venues, Restaurants. Posted July 19th, 2009 by Barry Berndes & filed under Breweries, Continental Casual, Escondido, Microbreweries, Microbrewery, North County, Restaurants. 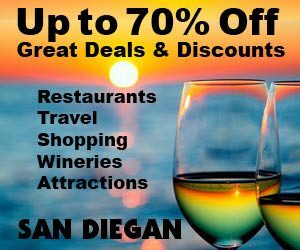 Posted July 1st, 2009 by Barry Berndes & filed under Breweries, Coronado Restaurants, Microbreweries, Microbrewery, Pizza, Restaurants. Posted April 23rd, 2009 by Barry Berndes & filed under Beer, Beer Gardens, Breweries, Breweries, Brewery Restaurant, Carlsbad, CSV Importer, Downtown Restaurants, Gaslamp Quarter, Gaslamp Quarter Restaurants, La Jolla, La Jolla Restaurants, Microbreweries, Microbrewery, Mira Mesa Restaurants, Mission Valley, Mission Valley Restaurants, Restaurants. 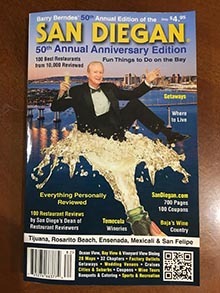 Posted April 16th, 2009 by Barry Berndes & filed under Banquets & Catering, Beer, Breweries, Brewery Restaurant, Corporate Meeting Venue, Downtown Restaurants, Gaslamp Quarter Restaurants, Happy Hour, La Jolla, La Jolla Restaurants, MCRD Graduation Party Venues, Microbreweries, Microbrewery, Party Venues, Rehearsal Dinners, Restaurants.